Haast is a town on the West Coast of New Zealand. It is spread amongst three small localities called Haast township, Haast Beach and Haast Junction and is located close to the mouth of the Haast River. Lake Moeraki is 30 km to the north-east, and the Haast Pass is 63 km to the south-east by road. State Highway 6 passes just to the east of the township. 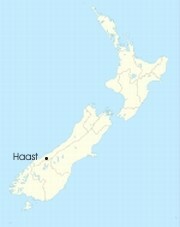 The 2006 census recorded a population of 297 for the Haast statistical area, which is much larger than the town. This was a decrease of 15 from 2001. The main economic activities are farming, fishing and tourism. 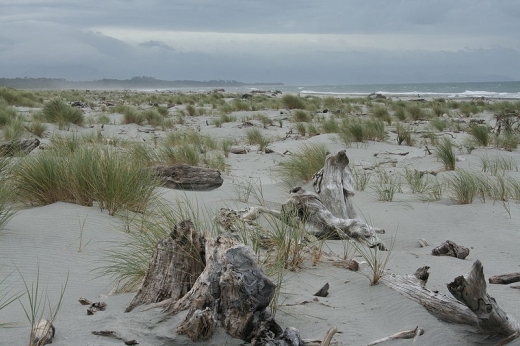 It is set within the Te Wahipounamu World Heritage site. The town is named after Julius von Haast. The Department of Conservation operate a visitor centre in Haast which offers a wide range of information about the surrounding area. The Haast tokoeka, a rare sub-species of kiwi, are only found in the mountains near Haast. European settlement of the area dates back to the 1870s. It was not until the 1960s that Haast had formed roads connecting it to the rest of New Zealand (the road to Wanaka opening in 1966). Previously, Haast was serviced by rough tracks from the North and East, as well as by ship. 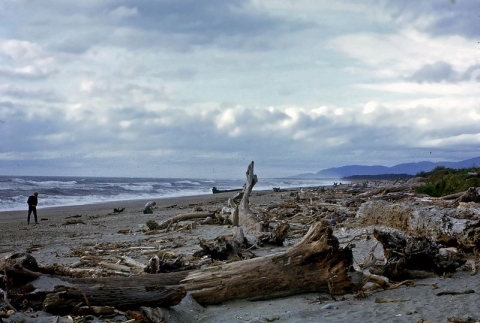 In the 1970s Haast was the site of an unsolved murder case. On January 19, 1970 Jennifer Mary Beard was found dead under the Haast River bridge. The main suspect was Gordon Bray from Timaru but he was never prosecuted and has now died. There are claims of other suspects but the police have no plans to reopen the case.